We need to get the hell out of Afghanistan! Now! 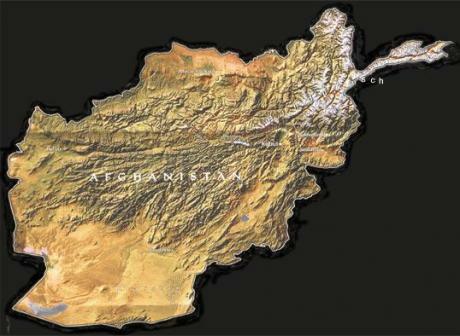 Afghanistan - the graveyard of empires. Almost to the day of the 44th anniversary of the My Lai Massacre in Vietnam, Sgt. 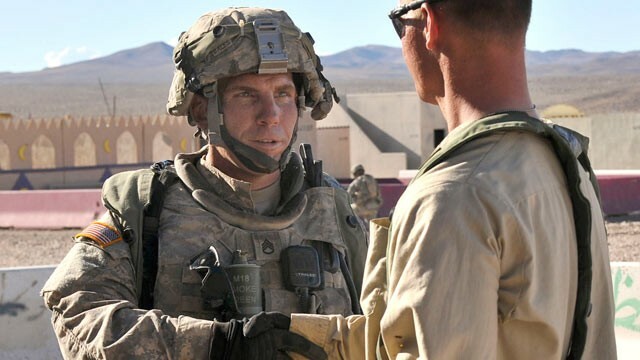 Robert Bales allegedly left his outpost and embarked on a solitary nighttime hike to two nearby Afghan villages where he then methodically massacred 16 mostly women and children sleeping in their beds. This occurred on March 11th. 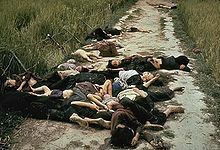 MyLai Massacre in Vietnam, March 1968. My Lai occurred on March 16th, 1968, and was the most massive civilian massacre of civilians by American ground soldiers in Vietnam. Its scale of death clearly outmatched this current horrific and monstrous act by Sgt Bales. Between 350 and 500 Vietnamese were killed – mostly women, children – even babies – , and elderly villagers. When the My Lai Massacre finally became public in 1969, it greatly increased demands that the US leave Vietnam. And like My Lai – Sgt Bale’s killings have greatly increased calls for a speed-up of American and NATO withdrawal from Afghanistan. One act by one soldier can speed up the US withdrawal? No, but Bales’ massacre has to be seen in context. It followed not too long after the deadly uproar over Americans burning Korans – Islam’s holy book. Then there was the video of US Marines urinating on Afghan and Taliban corpses. 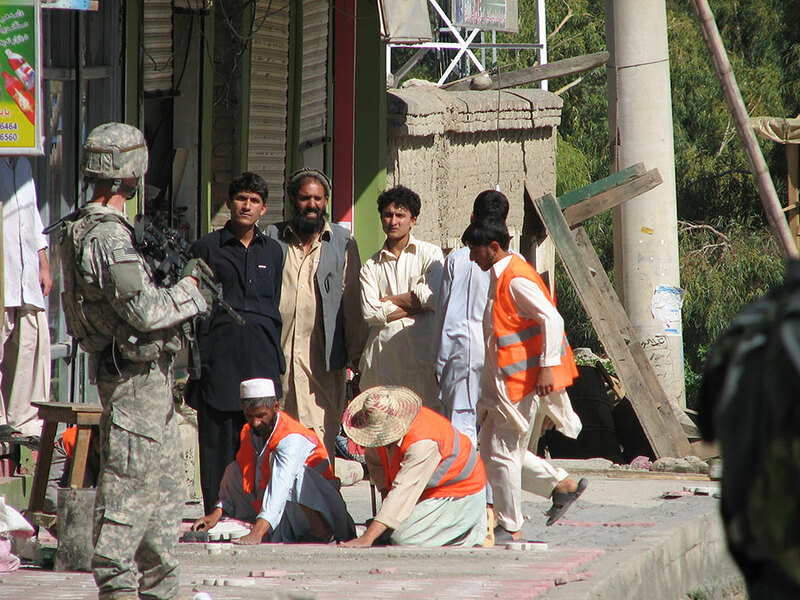 There’s the daily and nightly raids and incursions into the villages of Afghanistan by US and NATO troops. There are the despised drone attacks, indiscriminately killing civilians, the collateral damage. And on the other side, there are the increased shootings of NATO and US troops by Afghan “friendlies”. Sgt Robert Bales - on left. Bales’ act comes in the context of the ostensible deterioration of relations between Washington and the Afghan government – headed up by President Hamid Karzai. Reflecting this state of things, a few days after this latest incident, Karzai warned that he was at “the end of the rope” over these and other civilian deaths and casualties by Americans. He complained that the US was not sharing information with his government about the incident – and at first, US authorities refused to divulge the name of the American assailant. Bales was also immediately flown out of the country – despite Afghan demands that he be tried in that country. Karzai stepped up his public impatience with Americans by stating that good relations with the US and the international community were becoming increasingly more and more difficult to maintain. The new strain was added to the old strain which already existed due to the airstrikes that miss targets and kill civilians, and due to the increased Afghan opposition to night raids of homes by armed American troops searching for insurgents. In addition, Karzai reported that the US was not giving the delegation he had sent to Kandahar province to investigate the shootings the expected cooperation. Many questions remained about what had happened, and he would be continue to aggressively raise these issues with the U.S. military. Just the day before – on March 15th, Karzai had met with Defense Secretary Leon Panetta in Kabul and had demanded that US and NATO troops pull out of rural areas and pull back from the villages. The fight was not in the villages, Karzai claimed. And for domestic public consumption, Karzai also claimed that he demanded this to be done immediately. “Afghanistan’s security forces have the capability to provide security in the villages of Afghanistan”. Karzai also called for a significant acceleration in the handing over of security responsibilities to Afghan forces, saying NATO should wind down its combat role in 2013, a year earlier than planned. Western commanders have said it will be a challenge to bring the Afghan police and army up to a reasonable fighting standard by the 2014 deadline. So, now clearly, we can see that the Bales’ massacre is shaking an already shaky – and complicated – relationship between the US and Afghanistan. And despite the notion that Karzai can be intellectually dismissed because he’s but an American puppet, or that he’s nothing but a corrupt headmaster of a system of corrupt war lords, the fact remains he is the Afghanistan president. We should know – we put him there. Importantly, peace talks with the Taliban have now also been damaged. The same day that Karzai vented his frustration and impatience with the US, the Taliban announced they were ending talks with the Americans. They charged that the US had not followed through on promises diplomats had made and that the Americans were making new demands. Plus, they said that the Americans had lied by claiming that multilateral negotiations included the Afghan government. Karzai has since called for the Taliban to talk directly with his government instead. The bottom line, however, is that the American establishment now fears that this latest incident will disrupt their relationship with the Afghan government and its agreement to keep most of the US combat troops till the end of 2014. Karzai’s new demands point to that disarray. So, here we are – in the first months of 2012, and the establishment, the corporate media, and Afghan government agreements have determined that American combat soldiers should be in Afghanistan for another 2 and half years. To the end of 2014. If we go that route, we can count Americans fighting there for a total of 13 continuous years. This is the official position of the Obama administration. We cannot leave immediately, we must leave responsibly. Talk about ‘endless war’. Yet, even a war of 11 years is long. My daughter is 23 now; her country has been fighting in Afghanistan since she was 12. American and NATO forces have become an occupation army. This is the view of most Afghans. Our soldiers are poster children for the Taliban and an entire new generation of Afghan youth has grown to hate us. The United Nations has reported that last year was the deadliest on record for civilians in the Afghan war. The strain on American troops is outrageous. Soldiers are going back for 3, 4, 5 tours. 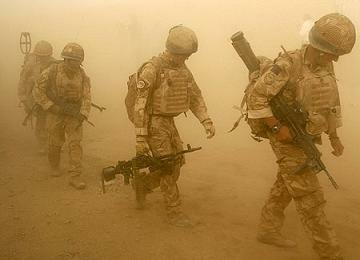 Many of them – perhaps up to 40% – are returning with post-traumatic stress disorder. Suicides among soldiers now account for more deaths than combat does. Sgt Bales was on his fourth tour when he snapped. After his third tour, he was assured that there would be no more tours in wars. He was stationed at the Ft Lewis Combined Base in Washington State. This is the base that has suffered more suicides and break-downs than any other post. The war – along with the war in Iraq – has bankrupt America. The trillion dollars spent – and lost – in both of these wars has resulted in an inability of our country to have sufficient backup resources to resist the economic recession. 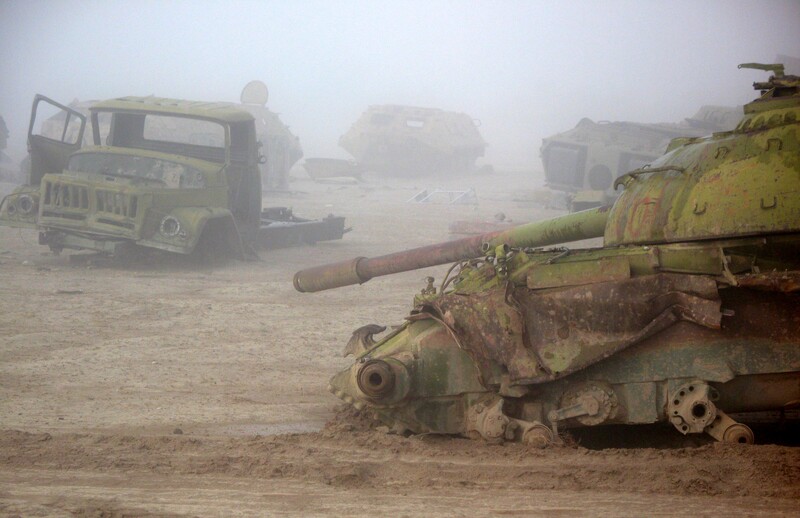 The wars have drained our domestic shelves. We can afford to keep 90,000 soldiers in Afghanistan, but our states, cities and school districts are becoming bankrupt. Ironically, this very same thing happened to the Soviet Union while they were in Afghanistan. And perhaps, most importantly, our strategy is wrong. It is not President Obama’s strategy, it is the Pentagon’s strategy. What? This is a new claim. Our strategy in Afghanistan is wrong because it’s the Pentagon’s strategy? Yes. In 2010, Bob Woodward of Watergate fame, published his tell-all “Obama’s Wars” – a painstakingly-documented account of the inner workings of the first years of relations between the White House and the Pentagon, and how Obama dealt with “Bush’s wars”. The book chronicles the trajectory of President Obama’s views and policies vis a vis Afghanistan, and gives us an historical record for those years. After reading and studying it carefully, I’ve come to the conclusion that Woodward has given us a front row seat into how the US military overrode a sitting President of the US on the very critical issue of war. Essentially, the Pentagon railroaded Obama by boxing him in on his options, and substituted their strategy and plan for Afghanistan for his – the President’s. Without letting Obama off the hook for the final decisions about Afghanistan, the record does show that he was frustrated, cut-off, insulted, threatened implicitly, lied to, usurped, blocked, delayed, undermined, undercut, disobeyed, manipulated, “rolled” and maneuvered into accepting the Afghan war plan of the generals and admirals. During the White House’s Strategic Review of its plans for Afghanistan back in 2009, the Pentagon continuously refused to provide the President with serious and adequate options – despite his repeated and more and more frustrated requests and appeals. The Joint Chiefs of Staff and top Pentagon honchos undermined Obama’s decisions constantly, by questioning them after initially agreeing to them, and by finding exceptions to what they agreed upon. The military establishment forced the President into a box, where the Pentagon’s option was the “last to stand”. And in doing so, the military determined US policy in Afghanistan and circumvented civilian control of the military. WE do need to leave Afghanistan immediately. We need to do that in order to reassert civilian control over our military, to reassert democracy over the empire, and to show that there is still some kind of democratic rule in this country – ours, not Afghanistan. This is part of a series by OB Rag writers. See the first post by Andy Cohen here. My next post will include examples of these outrageous claims that the US military overrode President Obama in plans for Afghanistan. Karzai’s lifecycle is even more limited, and he will not be in a position to implement any agreements, over any scheduled lifetime. Obama was neatly wrapped in a box by the Military (where have we heard that story about a President before?). I take this stance so firmly because such a series of colossal failures to lead our troops on the ground has resulted in nullifying 10 years of Afghanistan and Iraq war strategies. Yes, Iraq, too. Just because we announce “mission accomplished” doesn’t mean we did not rely on our former credibility as a leader in the region, what little was left after Bush. We have not only lost a war, we’ve killed our legacy. We’ve wasted our entire investment in terms of lost humanity, diplomacy, and credibility. Not to mention the weaponry and “resources”. All in all, our very legacy has failed beyond repair. They are already looking to burn others, instead of being held accountable, along with boots-on-ground General’s. Let’s begin there, And let us remember to return there after the media is done with the drama and the fingers have been pointed. Those who are responsible wee in charge of our tactical operations, including day-to-day nation-building. It was their war to lose, and they allowed “on-the-ground” resources to go “haywire”. Attitude reflects leadership. Bales’ actions did not bring down the house. But sixteen murders is The One Thing when it happens to be sixteen civilian murders – mostly woman and children – and all (allegedly) by a single American soldier. It is never one thing. But THAT One Thing has now made the outcome certain. It’s over. We’ve lost any remaining credibility. Just as we saw during the “hard days” of Iraq, anyone who steps forward to tell us there is a chance, to “help” us, has ulterior motives and we need to track their bank accounts. Will the Karzai’s be a better leader next year, in five years, in ten years? Will the Taliban be less radical next year, in five years, in ten years? Will there be a switch from clan to central government next year, in five years, in ten years? The last ten years leads me to believe the answer is NO. It should be noted that our military burned the Korans after prisoners were hiding/inscribing communications within them. Of course. Duh! This is 2012, not 1912. And your postings are being monitored, too (among myraid other activities) Double-duh! Obvious, too, is that the most advanced military in history should know their enemy and their allies and demonstrate they have LEARNED how NOT to continue shooting itself in the face when handling intelligence data and other evidence. Who are the idiot’s on the ground leading our troops and allowing these kids to make such mistakes? Or do the leaders on the ground care? No. They prefer to remain on-station. After all, creating the need for more war is how they collect a paycheck. pronouns…us vs them…”us” the balanced and thinking north american public (all ages and nationalities)…”them” the 1% (a more limited but, to date, an all powerful minority of former immigrants to the western hemisphere….The Americas) and those who affirm and carry out their war policies. the Citizens of Vietnam are us. the citizens of Pakistan are us. the citizens of Iraq are us. the citizens of Nicaragua are us. the citizens of Panama are us. the citizens of Grenada are us. the citizens of Cuba are us. the Citizens of Mexico are us. the Citizens of North Korea are us. the Citizens of the Dominican Republic are us. the citizens of Lebanon are us. the citizens of Cambodia are us. the citizens of Puerto Rico are us. the citizens of the Philipines are us. the Citizens of Bosnia, Kosovo, Serbia, Macedonia are us. the Citizens of Russia are us. (did I miss any?). The Citizens of Iran who are also us (not listed above, yet)……………..do not need “them”….they need us. so it’s quite clear for those with balanced and thinking minds, the “them” needs to be relieved of all power to attack “us”….for ever and ever …(amen..for those who pray and stuff). ex-captain, u.s. imperialist army, formerly in the service of the 1%; an “us” guy since 1972. Sgt. Robert Bates has provided us with the galvanizing horror required to move the public apathy into action. Sgt. Bates will not be remembered as an ordinary war hero, but he will still be an important soldier in our history.